Apothederm utilizes a patented SmartPeptides technology that includes the use of bioactive peptides that work to precisely target specialized skin issues for each individual’s needs. Whether you need an anti aging skin care cream for fine lines and wrinkles, loosening of the skin’s elasticity, firmness or definition, hyperpigmentation issues, tough, thickening skin, or thinning skin, Apothederm will get to the very crux of the problem area and fix it. 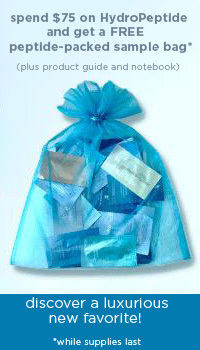 DrSkinSpa.com is an Authorized Retailer of Apothederm. All Products are Guaranteed Authentic & Fresh. 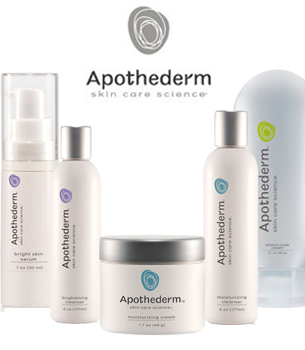 Apothederm came forward to introduce their innovative anti aging and other skin creams in 2011. The research and discovery of the formulations and high-performing ingredients were being developed years earlier, however. 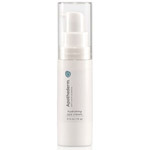 Apothederm skin anti aging products was introduced with the help of the company Helix BioMedix. This is a biotech firm that hails from Seattle, Washington. They are on the cutting edge of discoveries for the anti aging skin care market in addition to having discovered and licensed its own unique blend of peptide technology to dermatological companies the world over. The unique ingredients included in Apothederm’s advanced skin care anti aging creams are part of the SmartPeptides family of amino acids that work to stimulate a variety of positive responses in your skin’s structure. These amazing technologically advanced ingredients include Heptapeptide-7, Palmitoyl Hexapeptide-14, and Hexapeptide-21. 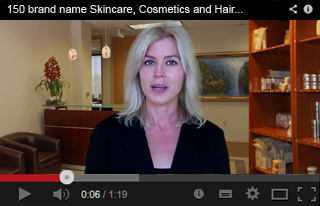 Hexapeptide-7 is the newest scientific finding for anti aging skin care renewal. It helps the keratinocyte cells in the outermost layer of skin reproduce and multiply rapidly. This leads to a renewal of the outer skin layer, making the skin look and feel healthy and more alive. Without continuous cell renewal, the skin begins to look dull and sickly. A more healthy and vibrant turnover of skin cells promotes a more youthful look. The Palmitoyl Hexapeptide-14 in Apothederm’s products for anti aging skin care gets to the heart of youthful skin with collagen boosting technology. With increased collagen, the skin decreases its wrinkles and firms up the skin’s matrix. This peptide formula also includes a lipid delivery system to enhance moisture and erase the dull look of dry skin that can be more and more evident as we age. With more moisturized skin, you will both look and feel better. Apothederm’s SmartPeptide technology also includes Hexapeptide-21 to additionally aid in collagen production and increase the turnover of skin cells, helping damaged skin look healthier and return the glow of youth to your face.